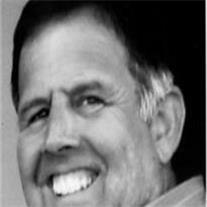 Phillip M. Hicks, 61, died July 15, 2009 in Mesa, AZ. He was born November 1, 1947 in Phoenix, AZ to Ken and Ruby Hicks. He worked for Naumann Hobbs as a forklift mechanic since 1971. From an early age music played an important role in his life. Phil was part of many musical groups during his school years and played his fiddle professionally. He is survived by his wife Debbie, sons Jason and Justin of Phoenix, daughter Katie of Mesa, Sisters Yvonne (Ron), and Glenda, 5 grandchildren, in-laws, Art and Frances Reynolds and dear friends Dennis and Cindy Parsons. He was preceded in death by his parents, a sister and a niece. Visitation will be held Friday, July 24, 2009 from 6-8 PM at Bunker’s Garden Chapel, 33 N. Centennial Way in Mesa. Services will be Saturday, July 25, 2009 at 9:00 AM at City of Grace Church, 655 East University in Mesa.